Where does the time go? 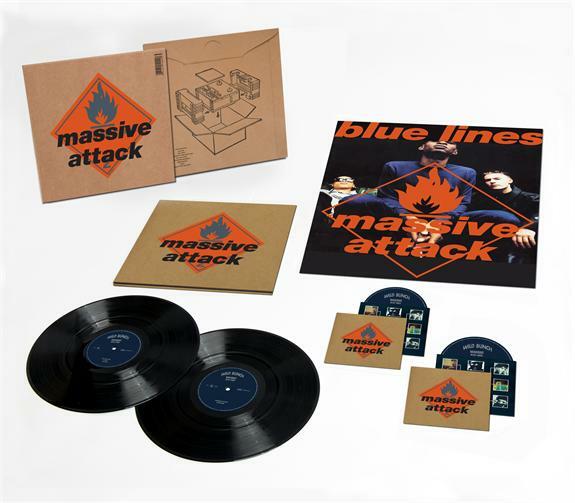 It’s difficult to believe that 2012 marks the 21st Anniversary of the release of Massive Attack’s celebrated album ‘Blue Lines’. The band’s debut LP contained such timeless gems as ‘Unfinished Sympathy’ and ‘Safe From Harm’ and introduced audiences to an outfit who’d go on to enjoy No.1 successes around the world (even here in Australia). Now 21 years on, EMI has announced that they’ll be releasing a 2012 version of the album later this year. Released in both standard single CD format, ‘Blue Lines’ 2012 will also be made available in a deluxe box format (pictured above), which includes a CD, a DVD, two 180g vinyl LPs and the original promotional poster. Both will be released in Australia on Friday November 16.